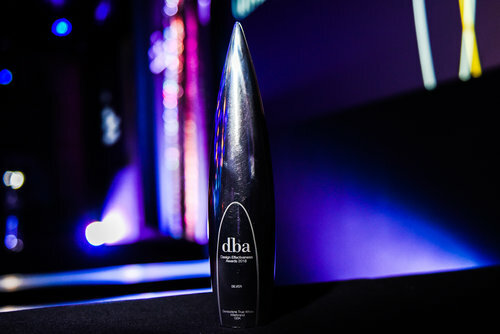 The Canopy is celebrating a second consecutive year of success at the 2019 Design Business Association (DBA) Awards. Uniquely amongst creative awards, the DBA’s are measured not just by the beauty of design work, but by how impactful that work is. The awards recognise and reward “the return on investment a coherent, well-thought out and professionally executed design strategy can achieve”. Being evidence based, the impact of design is measured and verified by data and is entered jointly by client and designer. Rigorously scrutinised by business leaders in three rounds of judging, the Awards recognise the compelling influence of design on the success of a project or a business. As a client therefore, you can be sure that when you choose to work with a DBA winner such as The Canopy, you are entering into a proven effective creative partnership, that can deliver a measurable return on investment. The 2019 DBA Awards ceremony takes place on 12 June at the Royal Horticultural Hall in London, where we’ll discover whether we’ve won a coveted Bronze, Silver or Gold award. Having won 100% of the DBA Awards we’ve entered, does that make us the world’s most effective agency? Well, it’s not for us to say, but technically; yes it does.